A Biblical View of Depression is part of Lou Priolo’s Biblical Counseling Homework Series. A Biblical View of Self-Control is part of Lou Priolo’s Biblical Counseling Homework Series. Biblical Resources for the Wife’s Protection is part of Lou Priolo’s Biblical Counseling Homework Series. 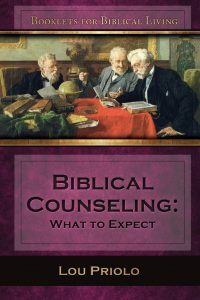 This 2-CD set is part of Lou Priolo’s Biblical Counseling Homework Series.